It is quoted that “Reading will take you to a lot of places.” Students are given a tasked to read a lot in order for them to develop their comprehension skills. In addition, reading will encourage an individual to be inspired and make an imaginative perspective to create another form of story. It is hard to understand a story if a reader don’t develop the love for reading. It must be a passion in order to grasp the information in just one seating. 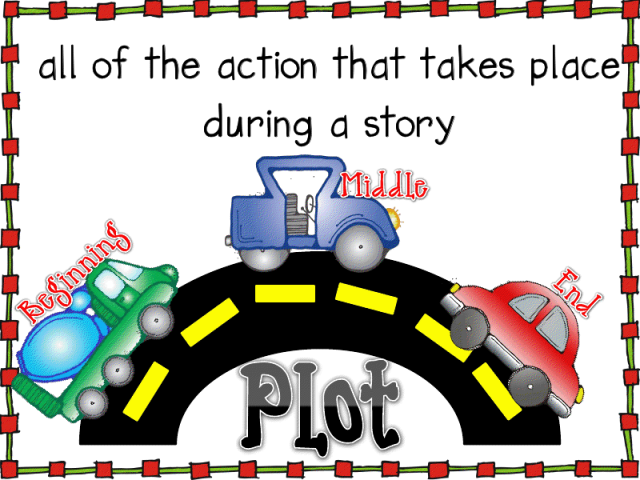 It is noted that in order for a reader to understand fully the run through of the story; they must have to determine the story elements in a particular story. A Story element is the flow of information needed to determine the characterization, important details of the story, plot and many more. 1. Characterization is the creation of the image of imaginary persons in a story. Authors give readers direct and indirect information to help them develop an understanding of each character’s appearance, personality, and behavior. It directly tells the reader of the behavior of the character in the story. b. Complication – is a struggle between two forcesin a particular story. These forces can be either internal (feelings) or external (physical). Typical conflicts includes: Man vs. Man, Man vs. Nature, Man vs. Society and Man vs. Self. c. Climax – the moment in a story at which the crisis comes to its point of greatest intensity and is resolved. It is also the peak of emotional response from a reader. It isthe turning point in the actionof the main character. d. Resolution – all that happens after the climax which brings the story to a close. It is the part of the story in which the problem of the main characteris resolved or worked out. This working out can be either positive or negative. 3. Setting includes time and place. Setting is the element thatincludesweather, time of day, location, landscape, and even furniturein a given story. All of these things can contribute to the understanding of a scene where it is situated, located or acted. 4. Theme is the message or the main idea of a story. It is the underlying truth about people, society, or human conditionsmirrored by the situations acted in the story. The theme is an important truth that the author wants readers to learn about life that can be applied in the real life atmosphere. a. First Person Narrator is thecharacter in astory thatis personally affected by plot and setting. First person narrator uses pronouns such as (I, We, Our) in the narrative. b. Third Person Limited Narrator tells the story and knows everything about the protagonist or main character. c. Third Person Omniscient Narrator knows what all characters, protagonists and antagonists, think, feel, and do. In order for a person to be a good reader, they need to be a good listener as well. Practicing someone’s comprehension skills is ensured if they will be encouraged to read a lot. Understanding the run through of the story is the first step to enhance what we read. After all, the stories that we read gives us information and moral lessons that we can share to our everyday interaction to people surrounding us. Click the online story below and determine the story elements. Use this as a reviewer to develop your comprehension skills and to determine the story elements. NOTE: For teachers, Please click the link below to start creating your own questions. Choose a planning sheet and create your own interactive contents. Mark Anthony C. Sy is a current graduate school student at Rizal Technological University. He is working in La Salle Green Hills as the Educational Technology Institutional Coordinator. He conducts seminars and trainings related to cyber education, educational technology instructions, android apk development, and setting up a digital school. He is the key element of La Salle Green Hills PEARL Program.